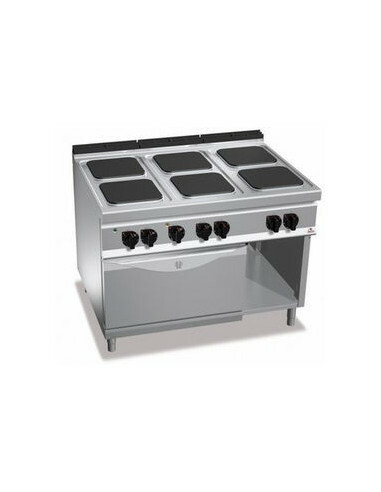 The unit is equipped with six heating elements for a busy work environment. The burners are square to provide it with a larger cooking area. The case of the E9PQ6+FE1 Electric 6 Square Hot Plate is made from stainless steel, which makes it very durable and easy to clean at the same time. Product dimension: 1200mm x 900mm x 900mm. Made by Bertos, a trusted manufacturer of high-quality kitchen equipment. Don’t be left behind by your competition, use the E9PQ6+FE1 Electric 6 Square Hot Plate from Bertos now.